Ivabradine has recently been demonstrated to have antiarrhythmic properties in atrial fibrillation. The aim of the present study was to assess the electrophysiologic profile of ivabradine in an experimental whole-heart model of long-QT-syndrome. In 12 isolated rabbit hearts long-QT-2-syndrome (LQT2) was simulated by infusion of d,l-sotalol (100 µM). 12 rabbit hearts were treated with veratridine (0.5 µM) to mimic long-QT-3-syndrome (LQT3). Sotalol induced a significant prolongation of QT-interval (+ 40 ms, p < 0.01) and action potential duration (APD, + 20 ms, p < 0.01). Similar results were obtained in veratridine-treated hearts (QT-interval: +52 ms, p < 0.01; APD: + 41 ms, p < 0.01). Of note, both sotalol (+ 26 ms, p < 0.01) and veratridine (+ 42 ms, p < 0.01) significantly increased spatial dispersion of repolarisation. Additional infusion of ivabradine (5 µM) did not change these parameters in sotalol-pretreated hearts but resulted in a further significant increase of QT-interval (+ 26 ms, p < 0.05) and APD (+ 49 ms, p < 0.05) in veratridine-treated hearts. 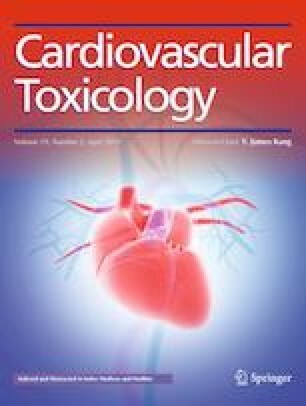 Lowering of potassium concentration in bradycardic AV-blocked hearts resulted in the occurrence of early afterdepolarizations (EAD) or polymorphic ventricular tachycardias (VT) resembling torsade de pointes in 6 of 12 sotalol-treated hearts (56 episodes) and 6 of 12 veratridine-treated hearts (73 episodes). Additional infusion of ivabradine increased occurrence of polymorphic VT. Ivabradine treatment resulted in occurrence of EAD and polymorphic VT in 9 of 12 sotalol-treated hearts (212 episodes), and 8 of 12 veratridine-treated hearts (155 episodes). Treatment with ivabradine in experimental models of LQT2 and LQT3 increases proarrhythmia. A distinct interaction with potassium currents most likely represents a major underlying mechanism. These results imply that ivabradine should be employed with caution in the presence of QT-prolongation. This study was supported by the German Cardiac Society and the Hans und Gertie-Fischer Foundation. All authors declare to have no conflict of interest related to this study.